Yoga has so many benefits for the body and the mind. I have been practising for 30 years, and as I get older I see the benefits even more. I started because I wanted to tone up and improve my posture, and I loved the way I felt when I finished a class, taller, straighter and relaxed. I had several excellent teachers who also led us through guided meditations and chanting. The sound of 20 people chanting ‘Om’ with all the different notes and vibrations is truly thrilling. Because you are concentrating on your movement and breath, all other worrying thoughts are driven out of your head, so your brain can take a break as well as your body. It’s a wonderful way to distress. What impressed me most was seeing older people in their 70s and 80s looking really good. They were straight backed, slim, with shiny hair. bright eyes and lively minds. Many of them were also vegetarians, which might also account for this, but it was more likely the combination of the two. Some people feel that yoga might conflict with their strong religious beliefs, but it is just a relaxing way to stretch your body. There is a very simple series of flowing movements called ‘The Salute To The Sun’ which stretches all the muscles in your body in a couple of minutes. Something everyone has time for. I notice if I have not done enough yoga when I struggle to get up off the floor, or feel stiff after a long car ride. An hours yoga can increase your brains GABA ,output my 27%!2 Gamma-Amino Butyric acid (GABA) is an amino acid which acts as a neurotransmitter in the central nervous system. It inhibits nerve transmission in the brain, calming nervous activity. This will make you feel less stressed and more relaxed. Yoga can even be practised by people who are in wheelchairs to help strengthen their muscles and improve their mood. 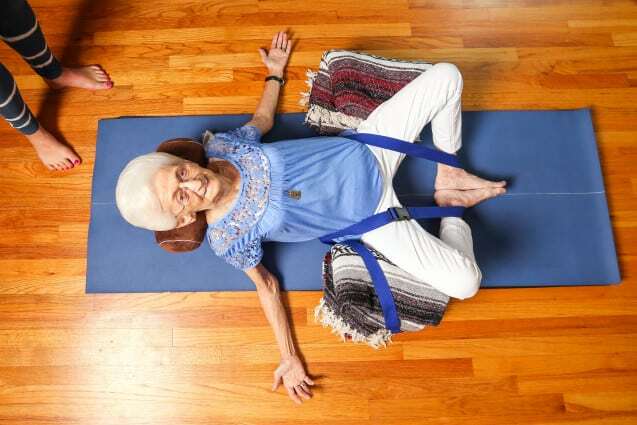 tells how yoga helped 86 year old Anna Pesca transform her body and gain mobility. 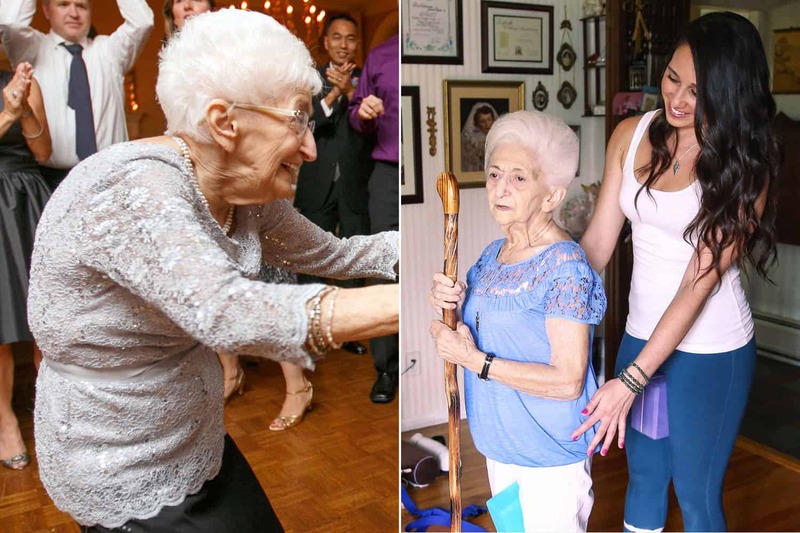 For decades, she suffered from hunchback posture – the result of a herniated disc, scoliosis, and osteoporosis. Though she had “tried everything: acupuncture, a physical therapist and seeing a chiropractor,” to alleviate the pain, little seemed to help her long-term. 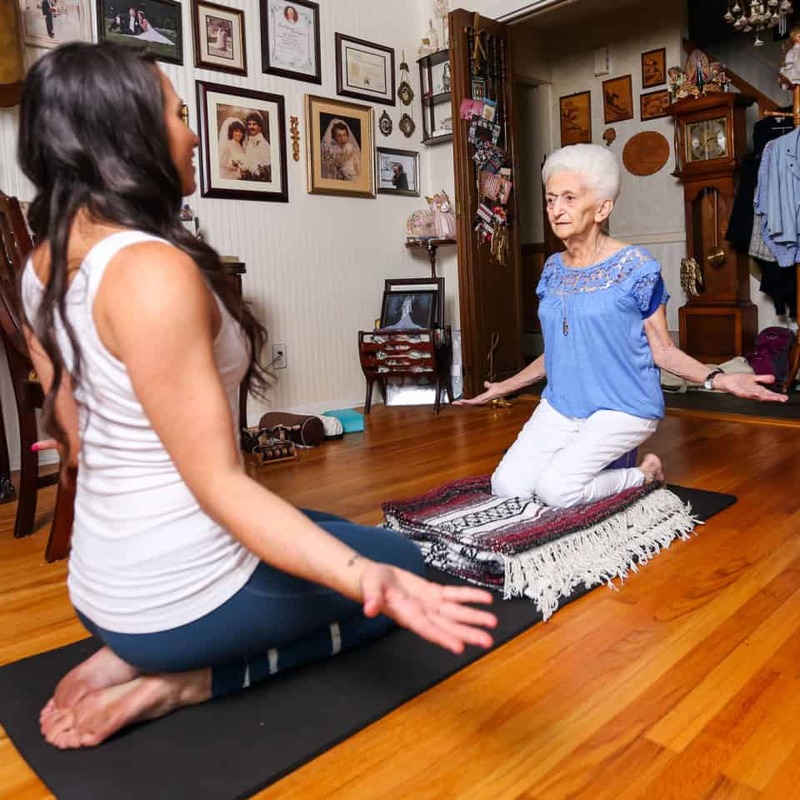 Fortunately, that all changed when her daughter introduced her to Rachel Jesian, a certified yoga instructor. They started slow and introduced restorative yoga poses and stretches into their one-on-one classes. Incredibly, after just one month, Pesce was able to walk again. Her understanding of spinal alignment and back injuries has helped Pesce heal her own body. Anna has made incredible progress in healing from scoliosis. The best part is that everyone can do it, and it’s relatively simple and affordable to get started. Seek out a class near you , or watch classes on youtube.